I am currently in the process of re-ripping my CD collection, at a slightly higher sample rate, as I have just acquired a 160 GB iPod classic. It replaces my 120 GB Zune which has been well used over the 5 years I have owned it and is still going strong despite it now only holding a charge for 3-4 hours. If they still made the Zune, I would have definitely bought another as this one has been trouble free. It did cross my mind to get the battery replaced but I had a ominous feeling that the moment I replaced the battery something else would fail. So, I am going to use the trusty Zune as a music player, for the house, as it originally came as part of a package with a powered docking station. Anyway, back to the new iPod. One of the great joys of doing any reorganisation of music files or media is that the process stimulates you to re-listen to some old albums that maybe you had not listened to in a while. 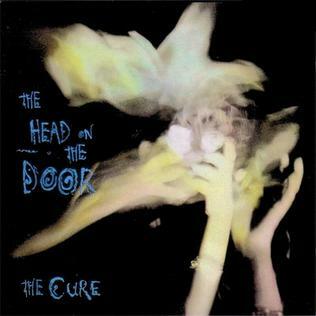 In this case it was, The Cure’s 1985 album “The Head On The Door”, that caught my attention while in the process of re-ripping the ‘C’s in my collection . I actually saw them on the tour for this album when they passed though Brighton (UK) in that same year. Listening to this album both to and from work, on the transit, I started to think about what I was doing in 1985. I specifically remember going to a lot of gigs in Brighton that year. Also, that it was also a particularly good year for album releases generally. Bands like, Killing Joke, New Order, Sisters Of Mercy, The Cult, The Damned, The Alarm, just for starters. However, as this is a blog that is primarily focused on new music, I figured I better find a new music ‘angle’ in all of this nostalgia. So, that got me thinking….. I wondered, in 2014, who might I consider to be representative of a band like the Cure? If I take a look at there Wikipedia entry for The Head On The Door album it notes the Genre(s) as being: Alternative Rock, New Wave, Gothic Rock. So, I wonder, are there any recent album releases that would fall into all of these genres? I wonder if there is anyone of interest in the “Followed By” area of the page? Mmm, I notice that Interpol are mentioned, but they aren’t that recent. So, I drill down through Interpol to find that the Editors are listed in the “Related Artists” area for Interpol. I have heard of the band, but not listened to anything by them. 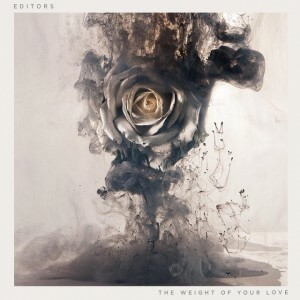 Next, I take a look at the most recent album by the Editors. The most recent is The Weight Of Your Love from 2013. Not this year, but close enough for me to want to take a listen. So I fire up Spotify (the perks of still having a UK account in Canada) and give the album a listen. Wow, this sounds really good. Obviously, the Baritone voice makes it sound quite different from someone like Robert Smith of the aforementioned Cure. However, initially it does remind me a lot of the male vocals in Dead Can Dance and then something interesting happens and ‘vocal register’ changes four tracks in. Actually, the more I listen to the earlier tracks the more I get thinking about the Mission (I did see them in 86 and again at the turn of the centaury). I will definitely have to listen and read a bit more with regards to the Editors. Just another one of those bands I never got around to listening to and already regretting that. So, new music mission accomplished. Well, in my little world anyway.